I'm trying to implement metropolis light transport based on this paper, and I have the basic thing working. I run the algorithm multiple times with different starting points, add the results for each starting point together and multiply them by a scaling factor to approximate the real image. In the resulting image, the starting points are noticeably brighter (they are aligned in a grid below). The paper I was reading doesn't have any advice on avoiding this start up bias. I found this other paper that has advice on this, but I find the paper a little hard to understand. It says each initial path should be assigned a weight $f(x_0) / p_0(x_0)$. $f(x_0)$ should be the luminance of the sample at the starting point $x_0$, but is it raw luminance or normalized? 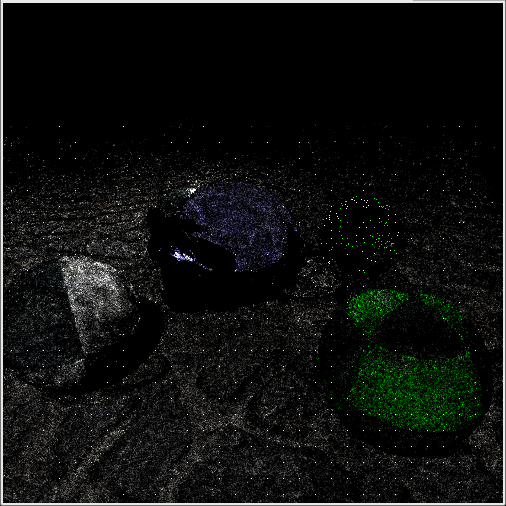 $p_0$ is supposed to be a path distribution (possibly sampled by path tracing). How do I get the value of a path distribution at a specified point? Is it the ratio of the point's luminance over the average luminance of the distribution (i.e. average brightness of the image)? Browse other questions tagged rendering pathtracing or ask your own question.